On the 8th October 1973, LBC became the country’s very first (legal) commercial radio station. Now, 40 years later, the industry has grown to 300 stations providing; news, weather, traffic, sport and of course entertainment, to 34 million people every week. Amongst the many events celebrating the 40th anniversary of Commercial Radio the one which is likely to stay with me the longest was last week’s event on the Terrace Pavilion at the House of Commons. From the very first moment I arrived at the back of the queue to pass through security I had a feeling I was in distinguished company. In front of me I could see the RadioCentre’s chairperson, Linda Smith, and as the line grew behind me I was able to spot another of the 40 list, Ralph Bernard. The list of 40 individuals was compiled to highlight the contribution of those that helped shape the success of the industry since its inception and as such includes the great and the good of 40 years of commercial radio. 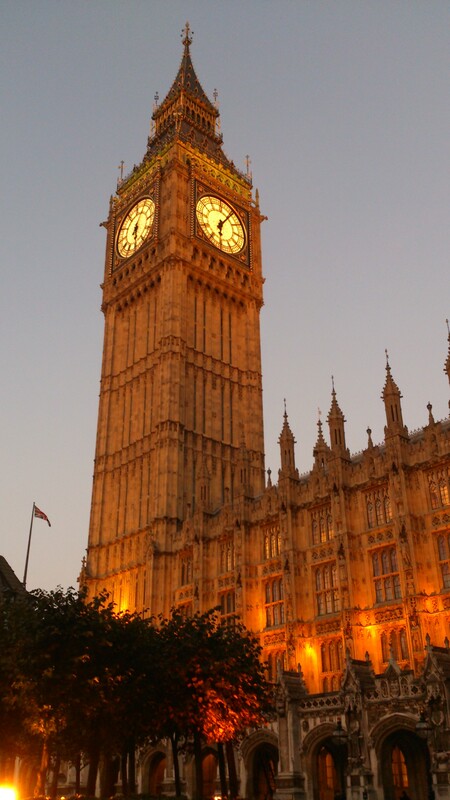 Once through security I took time to take in the truly majestic surroundings of Westminster Palace, from the great hall (St Stephen’s Hall) through to the central lobby the entrance to both the House of Lords and the House of Commons. As I walked through the corridors of power towards the Terrace Pavilion I couldn’t help but notice the many committees and events that were taking place. And they all had one thing in common… afternoon tea, well it was 4pm. On arrival at the Pavilion I was glad to notice we also had been treated to tea along with the added bonus of wine and a majestic view across the Thames. As the room slowly began to fill it became a who’s who of commercial radio; former Chrysalis boss Phil Riley was talking with Programmer David Lloyd, Digital Radio’s Jane Ostler speaking with Radio Futurologist James Cridland, Mindshare’s Howard Bareham with John Quinn of GTN and a vast number of radio presenters including Tim Westwood (now on Capital Xtra), Neil Fox (Magic), Russ Williams (Absolute), Toby Anstis (Heart) and Pat Sharp (Smooth). There was a real buzz of optimism and positivity as people celebrated a successful 40 years of commercial radio. The station groups that I spoke with were optimistic about the future as new technologies, be it Digital Radio or streaming audio, provide more opportunities to take their brands further. And likewise, the advertisers present were all keen to see how radio can continue to help them connect with their audiences. As an aside, one conversation I had will live long in the memory banks tucked away in the ‘did that really happen?’ section. As is the case with events at Parliament (especially ones with tea provided) interested dignitaries like to attend – I think I spotted a Dame, an Earl and two Lords before most of the guests had come through security – and I was lucky enough to get talking with the Earl of Glasgow. As we spoke about commercial radio and the Earl’s background in media (tv production) we were joined by Classic FM presenter Laurence Llewellyn-Bowen. The Earl then shared with us how he had employed a couple of Brazilian ‘street-artists’ to paint directly on to the wall of his 16th century castle in Ayrshire. The conversation that followed was truly fascinating – I even had to ‘Google’ Kilburn Castle when I left just to make sure I wasn’t imagining it. The 40th celebrations continued with host, Neil Fox, talking about his experiences of commercial radio and introducing Andrew Harrison (outgoing chairman) and Matt Payton of the RadioCentre. One of commercial radios longest serving presenters, Russ Williams, then took to the stage to introduce new band Lissie to help us continue the celebrations. As the event came to a close it was good to reflect with RadioWorks Chairman, and member of the 40 list, Stan Park on how well placed the industry was to tackle the next 40 years. Now, I really wanted to start this blog with the headline… Radio goes Gaga for the Royal Baby but in all truth I couldn’t bring myself to write about the constant coverage of the birth (even if I am particularly proud of the headline). Instead I thought I’d take a look forward to next week’s RAJAR figures and also try to answer the question I sometimes get asked… RAJAR, does anyone really care? To start, a quick bit of background… RAJAR, RAdio Joint Audience Research, has been measuring radio listening in the UK since 1992 and currently records data for around 310 individual Commercial and BBC radio stations. The research is carried out through the use of a weekly diary system, available in both physical and digital versions, with an annual sample of around 110,000 respondents aged 15+. This research provides us with all the listening figures, including the data which allows stations to measure their performance and commercial stations to sell their advertising space. I don’t think there are many people in the radio industry, maybe the micro stations aside, who would say RAJAR is not needed. For the commercial stations it is the currency that they trade off and for the BBC stations it is the way they show their worth to the license-fee payers and government. But, whilst there is little doubt we need RAJAR the fanfare that used to greet its quarterly release seems to have died off somewhat in the last few years. It’s with fear of sounding like an old git when I say… “I remember when people used to gather around the bosses desk to hear how the radio station had performed” and “when Andy Carter, formerly of GCAP (now Global Radio), used to visit agencies to provide everyone with an industry overview RAJAR presentation”. These were times when people used to get excited about results day and even throw parties to celebrate. Where as for the last couple of years the figures seem to be welcomed with a celebratory coffee rather than a bottle of champagne – especially within the commercial radio sector anyway. So, to answer the question – RAJAR, does anyone really care? Well; the presenters and DJ’s still care, the BBC cares and ultimately the commercial stations still care, because it defines how much money they will be receiving from their on-air advertising space and allows them to shout about how brilliant they are. But when you speak to the advertisers and agencies, it’s the people there that quite frankly don’t give a damn. Yes, an advertiser wants to know that there is a robust survey behind the station’s figures and they want to buy a campaign against those strong figures. But no, they’re not going to be so excited they can’t sleep next Wednesday evening as they wait for the latest data release. This could be because most figures remain relatively static quarter on quarter, or because other media metrics have less of a fanfare, or maybe because it feels like every single station is telling you they’re number one. 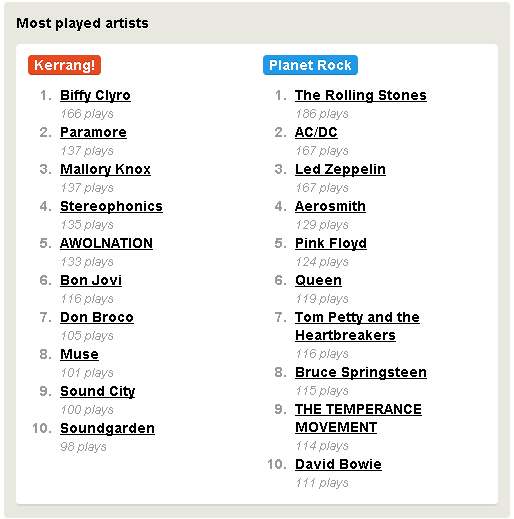 – And, Planet Rock to break the 900,000 listener mark for the first time in 12 months. So, are you looking forward to RAJAR? 1. What will RAJAR Q1 2013 be remembered for? A poor set of results for Nick Grimshaw on BBC Radio 1 whose results were down 1.3 million listeners compared to Chris Moyles’ results for the corresponding quarter last year. 2. Which radio station is your RAJAR hero? XFM London! The station is up a massive 40% Year on Year and 29% Quarter on Quarter in a very competitive marketplace to now deliver 574,000 weekly listeners. The new breakfast show host Jon Holmes has also performed well in his first set of figures for the stations with features such as ‘Miles Away’ obviously going down well with listeners. 3. What station really surprised you this quarter? Well, if I’m allowed to have more than one I’d go for Capital Yorkshire who recorded their highest ever reach of 1.13 million, and, 106 Jack FM in Bristol who recorded their strongest hours (724,000) and reach (125,000). 4. How would you describe digital radios results? It’s been another good RAJAR for digital listening with increases in both reach and share. Half of the country’s population (49.6%) are now tuning in to radio via digital means every week, and with 23 million adults having access to a DAB receiver it’s no surprise that this is the most popular way of listening to digital. In terms of share of listening hours, digital has reached an all-time high and now accounts for 34.3% of all listening. And, it’s also good to see listening via online/apps grow to a 5% share. This growth is no doubt as a result of initiatives like UK RadioPlayer, Absolute’s Instream and the many radio station apps which can all provide advertisers with additional opportunities to reach listeners. 5. How did the London breakfast shows compare? 6. What’s your favourite fact this quarter? From a national point of view my favourite fact is… Commercial radio’s chart show, the Vodafone Big Top 40, is now listened to by over 2.2 million people each week – more than 1 million listeners than Radio 1’s chart show. And on a local level I’ve got to go for this fact… Sun FM have beaten all competition in Sunderland (including BBC) and are now the undisputed number one station delivering higher reach and share than all their competitors in the area. Stats! How about one sentence instead? Nick Grimshaw and Radio 1’s loss is commercial radio’s gain. I’ve been off for a while but it’s given me some time to muse on Radio and how it’s stood the test of time. Hope you find this useful or interesting or… an appropriate way to get you away from the day to day grind! As a radio specialist (OK then, geek) one of the things I do is listen to a load of different radio stations. Earlier this week I tuned into the digital radio station (and brand extension of their magazine) Heat Radio. Heat is a national station, available across DAB radio, online, apps and on digital TV. While I was listening, they were playing a lot of old school pop. One of the songs to hit my ears and filter into my subconscious was Take That’s “Everything Changes But You”. That ‘90s hit has been going round and round in my head ever since! Embarrassing? Yes. Even more so was when I got caught singing it to myself whilst at football training! “Everything changes but you…” Commercial radio has been around for 40 years this year and it’s amazing to think about how much has changed since then: phones, TVs, computers and house values have undergone dramatic changes – but the essence of radio has largely stayed the same. Yes, technology has meant you can now listen in via a mobile phone rather than a gramophone, but radio’s strengths remain; listening figures are high, people continue to interact with it and radio is still a friend. “We’re a thousand miles apart / But you know I love you…” Love is a strong word, but the truth is, people feel strongly about their radio stations. On average, UK listeners tune in to only three different stations and some even put station stickers in the back of their cars! Recent research by the RAB (Radio: The Emotional Multiplier) to this showed how radio can improve our mood, so perhaps it’s little wonder people like to listen. The internet has helped radio in a number of ways and apps like RadioPlayer and TuneIn Radio, which aggregates radio stations from across the globe, can bring listeners closer to the stations they love. I work with a Kiwi and even though she’s more than a thousand miles apart from her favourite radio station, she’s constantly sitting there with her headphones on chuckling along to New Zealand radio station, George FM, I hope George knows she loves them. “You know every single day / I’ll be thinking about you…” The average time spent listening to radio in the UK is a whopping 22 hours per week! It does in fact seem that every single day 9 in 10 of us are thinking about radio. And it’s not just those who remember Take That who are listening in, 86% of 18-34s also listen to the radio each week (figures from RAJAR Q4 12). So, this week I’ve had the joy of renewing my car insurance for the year. I received my renewal documents in the post and found that they wanted to put my insurance up even though I’ve had no crashes or claims. Of course I went along to the many comparison websites to see if I could get a better deal and sure enough I managed to save myself quite a few quid. Being on these sites reminded me of a website that the techy team over at The OGS Labs (Absolute Radio) developed a while back called Compare My Radio. 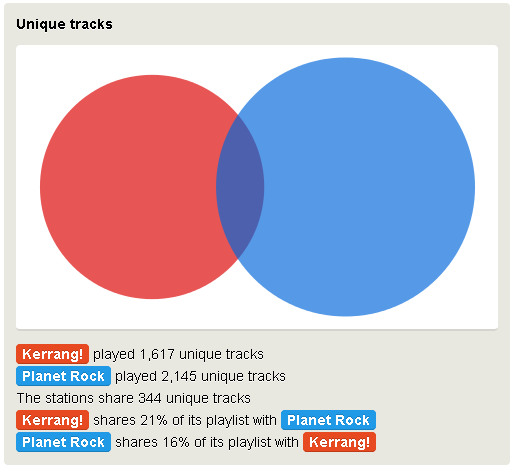 There was also talk of potential cross-over between Planet Rock and Q, but a quick search shows that there are only 209 shared tracks between the stations – less than there currently are between Q and Kerrang (348 shared tracks). With this in mind it stands to reason that Planet Rock will sit alongside Q and Kerrang in Bauer’s stable of rock-focused digital stations. This quarter’s RAJAR results have been a mixed bag as we see losses on some stations, but big gains on others. In London the top five stations all dropped down quarter on quarter, whilst Choice FM, Smooth and XFM all showed really positive increases. In particular, XFM increased their reach almost 20% to deliver 445,000 weekly adults – and with a whole host of new names, including Jon Holmes taking over the Breakfast Show, there is a real positive buzz around the station. After flat figures last time around, digital radio listening has fared better this quarter, with 33% of all radio listening now via a digital platform. These figures have been helped by strong performances from a number of stations on digital radio including Jazz FM, who delivered their highest ever hours of 3 million. The BBC’s digital only station, 6 Music, added 1.9 million to the digital listening figures. Bauer’s Heat Radio also helped, by increasing their reach 18% year on year to 767,000, whilst the Absolute Radio and Smooth Radio networks delivered 76% and 45% (respectively) of all their listening via digital platforms. And I have to say a big well done to Absolute Radio who have improved results across both their main station and the network as a whole, helping them achieve an impressive 11-year high of 3.3 million listeners. It’s not easy to pin down the exact reason for the improvement from a programming point of view but listening figures for the Christian O’Connell Breakfast Show have massively improved, whilst their decade stations Absolute Radio 80s, 90s and 00s have also shown year on year improvements. With a potential sale on the horizon, these figures could well increase Absolute’s value. Here’s a final thought for you: Global Radio’s purchase of Real and Smooth Ltd looks all set to go through later on in the year. When it does, we wouldn’t be surprised to see the Real Radio stations rebranded into the Heart network. If that were to happen we could be looking at a reach of almost 10 million weekly listeners! If you’d like to read my full report on this quarter’s RAJAR it’s available here on the RadioWorks website. And I even got a little bit in MediaWeek / Brand Republic. Emma Bunton is ‘spicing up’ (please forgive me for that) the Heart London breakfast show alongside Jamie Theakston and after listening in on a few occasions I can report that she is fitting in really well. It’s clear that Emma and Jamie have known each other for a while and there’s good chemistry there. Importantly, Emma doesn’t sound like a pop star who is giving radio a go – unsurprising really as she already has a couple of years of experience from her weekend show. Personally I think getting Emma on board is a great thing for Commercial Radio; she’s a massive name in the world of entertainment and I’m sure advertisers will be clambering to get involved. XFM have parted company with Danny Wallace and handed the reins of their breakfast show over to Jon Holmes. His name may not be that familiar to some of you, but when I mention he has eight Sony-Awards, two BAFTA’s and three British Comedy awards to his name – as well as co-writing credits on Horrible Histories and Dead Ringers – you’ll probably agree he’s worth trying out. Add in to the mix that he’s also been sacked a couple of times in his career for taking things too far, and it could make for an interesting listening experience! Also over at XFM, comedian Josh Widdicombe (off TV shows like Mock the Week and 8 out of 10 Cats) started this Saturday 19th January and is on air from 10am-1pm. And finally, a reminder that the next radio listening data results (RAJAR) are being released on Thursday 31st January. RadioWorks will be giving you a full update on the radio marketplace along with any trends or changes that you need to be aware of.